Far too much time seems to go by whilst gathering thoughts for a new model railway (or dithering as some may say!) Over a month ago I had resolved to look for a model railway plan that didn’t involve being too big a project and something that had a scenario or story that could be told. From this has begun a chain of thoughts that I believe form an unusual but somehow logical basis for a fictional layout. The great thing about planning to build a small layout is that it makes you focus on themes or areas that you may not usually. If you don’t have space for a massive station and engine sheds but want something smaller and simpler, you need not do the same as you might usually. In other words, it’s an opportunity to do something a little different. Only having space for some sidings made me think that a small industrial scene could work well and that’s when my thinking started. I wanted something original and so tried to think of an unusual scenario that would focus my mind somewhat. You must excuse the pun when I say this, but I had two trains of thought going through my mind. The first was that it would be nice to have a layout that could be the home of one of the unique models of the layout. 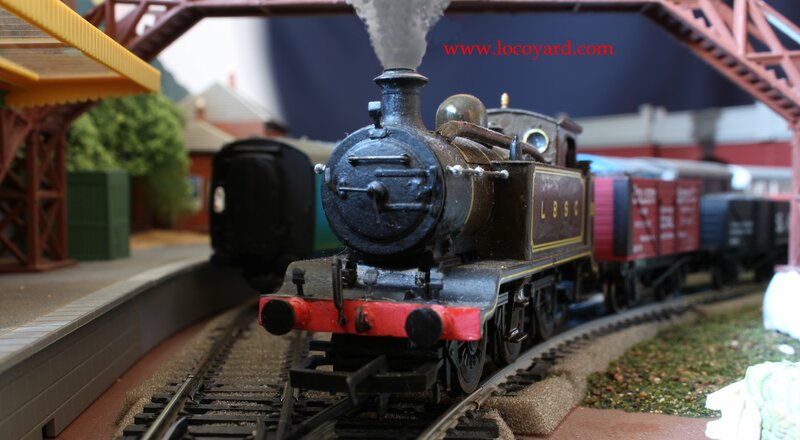 From this mean one of the modified models that isn’t just a off-the-shelf model, such as the LBSCR E2 tank pictured at the top of this blog post, or the Isle of Wight extended bunker terrier tank W11 Newport below. Other potential locomotives included the modified 850 Lord Nelson and 9F 92220 Evening Star although neither of these lend themselves to a small layout, although the improved Hornby Caledonian Pug is a contender. My second train of thought was inspired after our recent link-up with a campaign being run by John Lewis Insurance (click here for more.) This campaign looked at toys and opened up the debate between defining what is a toy and what is a scale model. I immediately connected the two in my mind and thought – how about a toy factory? A toy factory could be as wondrous as anything from the likes of Roald Dahl or as realistic as any other industry. This idea, as you can see, has grabbed my attention! Despite all our social media efforts, this website owes around 70% of its “hits” from search engine’s and I can see why. Every time I want to begin any research I turn to Google first and no doubt add a similar ratio of search engine hits to other websites! I struggled at first to use Google to research any toy factories that had a railway. Searching “toy” and “railway” will lead you to any toy trains you can think of. However, after playing with different search terms, I started to get somewhere. Today very few toys are manufactured in the UK and there are few firms in the past that had the global presence that modern companies have and therefore the scales of economy that would make having a railway connection economically viable were few and far between. However, I did manage to find one example and that was the once mighty Line Bros Ltd. This company was once considered to be the largest toy manufacturer in the world. The three Lines Brothers (William, Walter and Arthur Lines) traded under the name of Tri-ang (three lines making a triangle.) 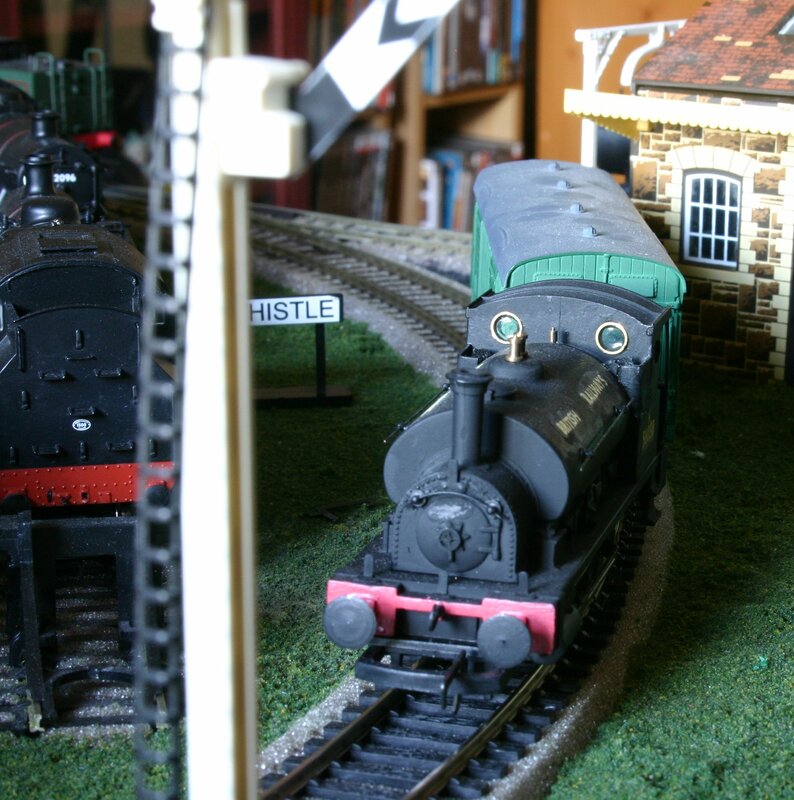 They owned many brands including Hornby and so had the scale to warrant private railway sidings – which they had! These sidings were in London on a former steam works known on Caledonian Road. This is where both trains of thought collided and a solid idea was formed. How about having a model of a toy factory called Caledonian Road, but with a twist – have it located in Scotland that befits such a name. It could then be the home of my much modified Caledonian Pug! This was the light bulb moment! There could be some confusion with the title name of the layout, as Caledonian Road is a station on the London underground, so a slight modification to the name may be needed, but as a concept I’m pretty happy! So this is where my current line of thought is, quite some way from southern England, but all the more new, challenging and exciting as a result. The next fun step is to learn a little more about Scotland’s Railway heritage and in particular, the former Caledonian Railway. Watch this space for more! I had Triang rather than Hornby Dublo when I was a kid back in the 50s/60s. Only now, thanks to your research, do I know where the name came from. Many thanks!! I’m glad the research has been of interest. Indeed I’m finding the research to be a great learning experience all-round, which has a lot to do with the delay in actually building a layout!